What Is The Cause And Solution For Gall Bladder Disease And Gall Stones? Overmedicated, overfed, and malnourished, most Americans fail to realize the answer to lower disease rates doesn’t lie in more pills but in the foods we eat.With so much misleading nutritional information regarded as common knowledge, from “everything in moderation” to “avoid carbs,” the average American is ill-equipped to recognize the deadly force of abundant, cheap, unhealthy food options that not only offer no nutritional benefits but actually bring on a disease. 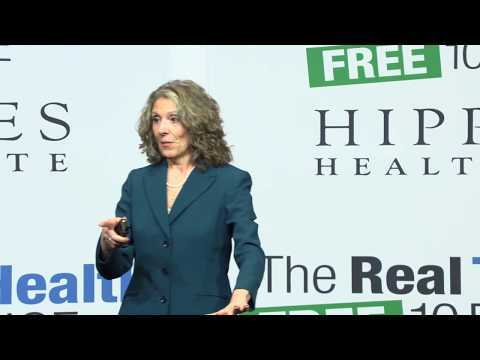 In this lecture, Pamela A. Popper, Ph.D. ND, speaks about the dire state of American health—the result of poor nutrition choices stemming from food politics and medical misinformation. But, more important, she shares the key to getting and staying healthy for life. Backed by numerous scientific studies, Pamela A. Popper, Ph.D., ND details how dietary choices either build health or destroy it.